See more on Ned’s website! Mr. Reade shows his work at the McKinney and Doyle in Pawling, NY, at the Southern Vermont Arts Center in Manchester, VT, the Kent Art Association in Kent, CT., and at the Old Sculpin Gallery in Edgartown, MA (see www.oldsculpingallery.org.) He is a past board member of the Martha’s Vineyard Art Association and past President of the Independent Schools Art Instructors Association. When he is not busy teaching and coaching at the Trinity-Pawling School, Ned retreatsto home along the Battenkill River in Vermont. Ned’s wife, Maria, is a co-partner at Someday Farm where every day is different! She also writes for Vermont Magazine and local Edible Magazines. 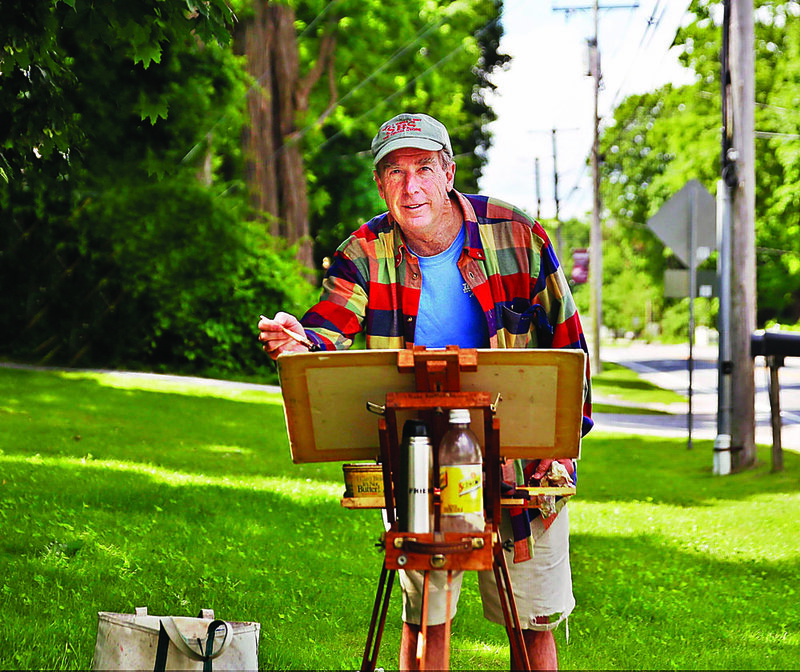 Ned Reade paints in oils and watercolors and is the Chairman of the Arts Department at the Trinity-Pawling School, a private secondary school, where he has taught for over forty years. 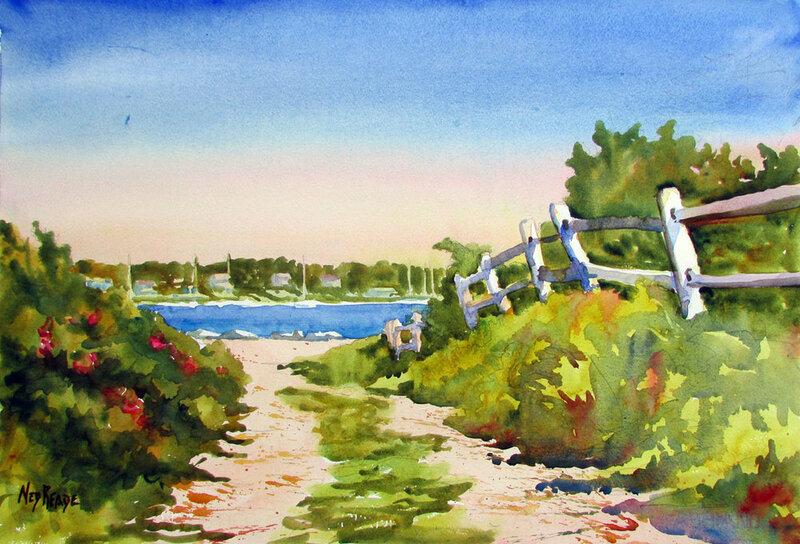 Mr. Reade enjoys painting on location on the East Coast and in Europe. His subjects can be the farmyards and fields of rural New England, the fishing boats and fisherman shacks along the seacoast, or the small towns, homes, and roads of America today. Hehas painted the waterfronts in Switzerland and the Lakes Region in Italy, the hill towns of Tuscany and the cathedrals and landscapes of the Loire Valley and Provence in France. He has even braved the city streets of Paris, Florence, and New York to paint “en plein air” and capture the vitality of those urban environments. Mr. Reade has studied at the La Romita School of Art in Terni, ITALY, the Vermont Studio Center in Johnson, VT., the New York School of Drawing and Painting, the Art Students League, and graduated with a Masters Degree from Wesleyan University, Middletown, CT., and was an Art History major at Williams College, Williamstown, MA.. He has studied with American Watercolor Society artists, Eric Wiegardt, Mel Stabin, and Betty Lou Schlemm. Charles Movalli, and T. M. Nicholas have been among Mr. Reade’s instructors in oil painting.